It has only taken three weeks and two decent victories to change the mood from abject despair to perhaps over-zealous enthusiasm. Despite the hugely competitive series in 1993, the Lions in New Zealand have, at least for a particular generation, been defined by the disastrous 2005 tour where a combination of an outstanding New Zealand side and an unrelentingly arrogant approach by Clive Woodward led to an absolute shellacking for the tourists. Of course, that year, the hosts were led by two of the greatest players of all time, in Richie McCaw and the imperious Dan Carter. The Lions was weaker, less united, poorly managed and a series of unfortunate events did little to help their cause. Now, despite the abject listlessness of the tour opener against the Provincial Barbarians and well-founded concerns over such a truncated tour, the Lions have emerged as genuine opposition to New Zealand. It may seem laughable, particularly to New Zealanders or those averse to the appeal of rugby, that an all-star team from Britain and Ireland is being lauded for actually making a contest of this series. However, given the scars of ’05 and the tremendous difficulty of gelling in just five weeks, the Lions have done well to get to this juncture. However, any over-exuberance should be tempered by the fact that New Zealand are comfortably the best side in the world, are playing two of the tests in fortress- Eden Park and the Lions have won one of their last four series anywhere. And, being honest, that 2013 series victory, against a ramshackle Australian side and aided by Kurtley Beale’s dodgy studs, will hardly go down in the annals of great Lion’s triumphs. In effect, we should be tempering the excitement of the past two Saturday’s unusually satisfying grindhouse productions, but the reaction from the New Zealand has been amusing and perhaps is indicative of the fact that the hosts know they’re in for a serious challenge. They might hate the whinging POMs down that neck of the woods, but the New Zealand Herald has been in full, cry-baby mode in recent weeks with its inane criticism of tough forward dominated rugby. Worst of all, the much-vaunted gauntlet thrown down in the form of New Zealand’s Super Rugby quintet has actually served as vital preparation for the Lions. While the defeat to the Blues and that Sonny-Bill inspired magic initially heightened concerns of a test whitewash, it was quickly established that numbers 1-12 would only play on Saturdays going forward. The Lions did pummel the Crusaders front five, and four of the Kiwi tight unit, while the Maori and their loose brand of rugby of rugby were no match for a well-organised, steely collective. Still, while we’ve probably never enjoyed a penalty try so much, there is still the nagging feeling that the Lions aren’t anywhere near as clinical as they need to be in the big games. 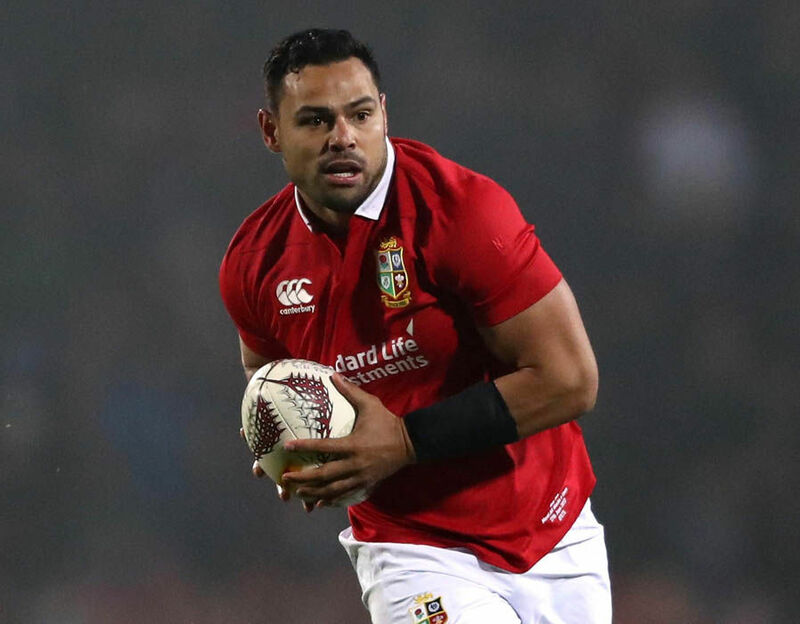 Now, you can argue that Saturday’s back three comfortably the biggest threat thus far, but those inside, namely Ben Te’o and Jonathan Davies need to convert those punchy breaks into try assists. Speaking of the back three, in a rare event for fans, we got exactly what we asked for. Liam Williams, though frustrating thus far, has the potential to hurt the Kiwis and we think Elliott Daly has the potential to emerge as one of the stars of this tour. Daly can slot in from 12-15, if necessary, has a monster boot and as illustrated in Cardiff when he broke Welsh hearts at the death, he has a decent turn of foot. New Zealand have long since perpetuated the myth that they only ever play heads up, carefree rugby and that kicking and tight carrying are anathemas to their game. The truth is their game mixes powerful forward play, quick recycling and a devastatingly clinical attack. We’ll confidently say, without the assistance of any empirical evidence, that New Zeland convert more line breaks into tries that any other side in world rugby. And, with the searing pace of Beauden Barrett, witnessed first hand by Conor Murray in November, the Lions will have to shut down every inch of available space. The Lions, and the first XV have been hugely effective thus far at employing Andy Farrell’s hard rush defence which places extra responsibility on either Conor Murray or a covering winger to sweep in behind for any probing kicks. Yes, contrary to popular belief, New Zealand do kick the ball and they’ll likely do so pretty regularly on Saturday. The Lions, on the other hand, have no such delusions of grandeur and their game is based around aerial assaults, set piece dominance and, hopefully, this weekend tries as a result of incessant pressure. With a hugely powerful pack and a half-back pairing to rival their illustrious hosts, they’d be foolish to abandon this game plan. The pack is hugely impressive and Peter O’ Mahony’s edginess is shared throughout the unit. That O’ Mahony managed in the space of three months to go from Irish back-row sub to Lions captain is an incredibly heartening story. We’ve always been a huge fan of the Cork man and after a difficult year for all involved in Munster, it’s fantastic to see him take up the mantle from Paul O’ Connell. Prior to 2015, there was the sense that O’ Mahony was hugely underrated, perhaps because he wasn’t an offensive wrecking ball in the mould of Stephen Ferris or Seán O’ Brien. But his incredible work rate, ability to wreak havoc on opposition ball and almost peerless lineout ability set him out as a genuinely world-class, blindside. As devastating as O’ Mahony’s own injury was in 2015, it is somewhat ironic that a back injury to Jamie Heaslip opened the door on Paddy’s Weekend for the Munster captain to put in a masterclass from where he has since continued in his ascendancy. Jim Hamilton regularly refers to O’ Mahony as a ‘dog’ on The Rugby Pod, in a truly complimentary way, but in recent weeks he has elevated the Irishman to the status of ‘world-class dog’. High praise indeed from a man like Hamilton. The rampaging Sean O’ Brien, classy Taulupe Faletau and all-action O’ Mahony have been mightily impressive against decent opposition thus far and there’s no reason to think they won’t rise to the challenge in Auckland. O’ Mahony, Geroge Kruis and Alun Wyn-Jones are acknowledged lineout experts and they have performed outstandingly well in tandem with Jamie George thus far. However, tomorrow they will face the best lineout in international rugby, so their dominance against the Crusaders and Maori needs to be tempered by the fact that the unit is set to be enhanced by the imperious Brodie Retallick and New Zealand’s talisman, Kieran Read. Parity needs to be achieved in this phase of the game and anything even approaching the first-half omnishambles in Christchurch in ’05 will bring a swift end to the tourist’s chances. The Lions will also expect to dominate in the scrum, an area that will be influenced by the differing hemispherical interpretations. Jaco Peyper allowed Kieran Read run free in Dublin in November, an offence for which any other number eight would have been sin-binned and a penalty try would have been awarded. In a strange way, those events most likely guarantee that the South African will be far more stringent at scrum time. Indeed, Peyper’s risible performance in Dublin probably led World Rugby to fast-track new rules regarding high shots after Robbie Henshaw and CJ Stander were both sparked by blatantly illegal shots. With referees, it’s generally better to offer your criticism in advance as a referee’s decision has yet to be overturned to the benefit of the losing team in the aftermath, well, apart from poor old Jimmy Cooney. The Lions have done a very good job of presenting the idea that they can not only cope with but actually outmuscle the New Zealand tight five. Tadhg Furlong, whose magical season continues, and Wyn-Jones bolster the Saracens trio and with Maro Itoje to explode off the bench, Watland’s side is well equipped in this regard. That said, however, New Zealand are extremely strong in this department too, and powerful, behemoth South African packs have come and perished on this rock before. Looking through the teams though, the feeling is that this game will be decided in midfield, which is not something we’d predict too often. Williams and Ryan Crotty provide a brilliant chalk and cheese dynamic and will really fancy their chances of finding openings, particularly through Te’o’s channel. The converted Kiwi is a big hitter but there’s a lingering concern that a lapse in defensive reads, and it only requires one, could allow the ruthless home side find a crucial opening. Further, for all Teo’s effectiveness at carrying his final pass leaves a lot to be desired. By selecting Liam Williams, Anthony Watson and Daly, Warren Gatland has signalled his side’s intent to go out on their shield, if it comes to that. But New Zealand can counter with an even better back three, combining the intelligence of Ben Smith and Isreal Dagg with the blistering pace and finishing skills of Ioane. The general consensus these days is that you need to score 30 to beat New Zealand, but the Lions have had far greater success at grinding their opponents down on the back of a rock solid defence. It now looks like the rain will hold off tomorrow evening at the other end of the world, so perhaps a try fest is in store. However, that’s not the way we see it going down. The Lions have completely turned our expectations on their head in recent weeks but in Eden Park, another house of pain for visitors during the last twenty years, New Zealand should have too much. And yet, we can’t ignore that optimistic gut feeling. Lions by a hair’s breadth.